Dentrix is a clinical and practice management software system that helps you to manage a wide range of practice information, including patient demographics, clinical details, and production analysis. 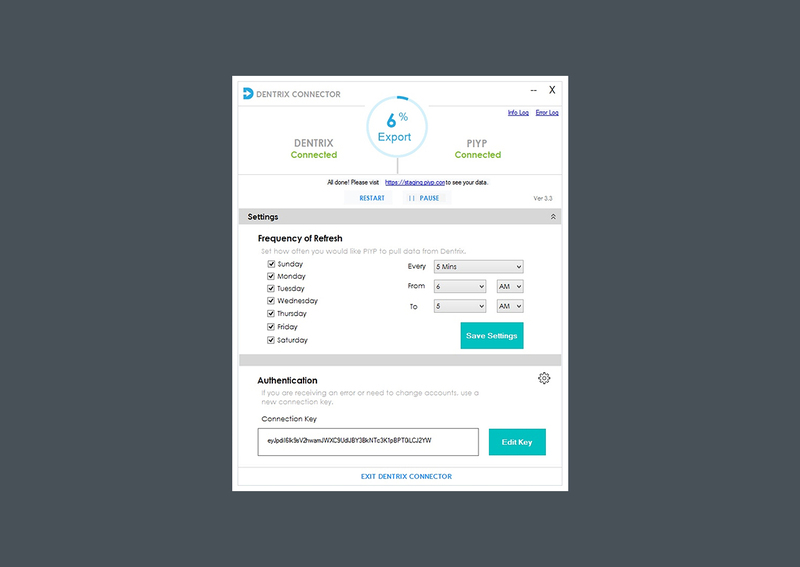 The Dentrix software includes five main modules that each manage specific types of information: They are family file, appointment book, patient chart, ledger and office manager. The Family File module manages patient and insurance information. From this module you will keep track of a patient’s name, address, employer, insurance information, notes, and continuing care, as well as other important information. Managing appointments is easy with the Dentrix Appointment Book. 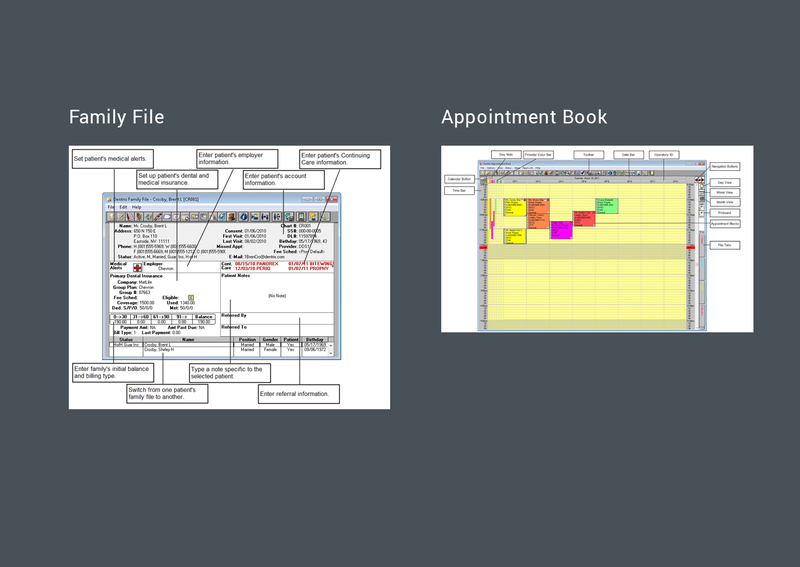 The Appointment Book offers goal-oriented scheduling with the flexibility to make one-time changes. Appointment Book’s convenient toolbars and Flip Tabs make navigating through the Appointment Book, searching for open times, and organizing appointments simple and quick. Appointment Book allows you to schedule appointments, record broken appointments, print route slips, and dial a patient’s phone number directly from the computer. As with all the standard Dentrix modules, the Appointment Book provides access to other Dentrix modules from the toolbar.